Should John Dorsey be afraid to open up the checkbook for Darrelle Revis? Per Mike Florio of Pro Football Talk, the Kansas City Chiefs are believed to be interested in New England Patriots cornerback Darrelle Revis, the 6-time Pro Bowler, 4-time First Team All Pro, and considered by many to be the best Cornerback in the NFL, who thanks to his coverage, abilities has earned the nickname ”Revis Island.” Revis is part of the reason for the success of the Patriots defense this season, due to his incredible man-coverage abilities allowing Matt Patricia and Bill Belichick to focus on the other receivers and tight ends of the opponent’s offense. Revis signed a 2-year, $32 million deal with the Patriots on March 12th, and with a $20 million contract option awaiting him in 2015, he may become a free agent in 2015. If he does, should John Dorsey be afraid to open up the checkbook for the veteran corner? The Chiefs secondary, made up of cornerbacks Sean Smith, Philip Gaines, and Jammell Fleming and safeties Husain Abdullah and Ron Parker allowed just 203.2 passing yards per game, 22 passing touchdowns, but recorded just six interceptions. 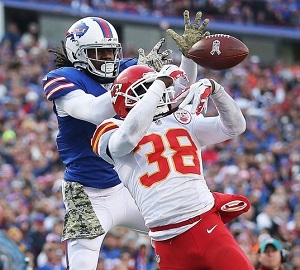 Smith turned things around after struggling in 2013, becoming the Chiefs best cornerback and was ranked the NFL’s 5th best corner by Pro Football Focus. While Fleming, Gaines, Parker, and Abdullah weren’t elite, they all made critical plays in key situations and played parts in every Chiefs victory. Together, they are one of the NFL’s best secondary units, even with Eric Berry missing much of the season, but what if Revis were added to the picture? The Chiefs defensive coordinator, Bob Sutton, worked with the Jets defense from 2000 to 2012 and was the defensive coordinator from 2006 to 2008. During this time, the Jets defense ranked 6th in points allowed (2006), 7th in rushing yards allowed (2008), 2nd in Forced Fumbles (2008), and 9th in passing yards allowed (2007). Revis recorded 19 interceptions, 6 fumble recoveries, and 3 pick-sixes in six years with the Jets, which may seem low for a player of his caliber, but it was in the 2008 season where the term ”Revis Island” became widely used, and opponents took notice, choosing not to throw on the talented Revis. This was all due to Bob Sutton, who would leave Revis on the opponents No. 1 receiver all game and Revis would shut him down, all game. 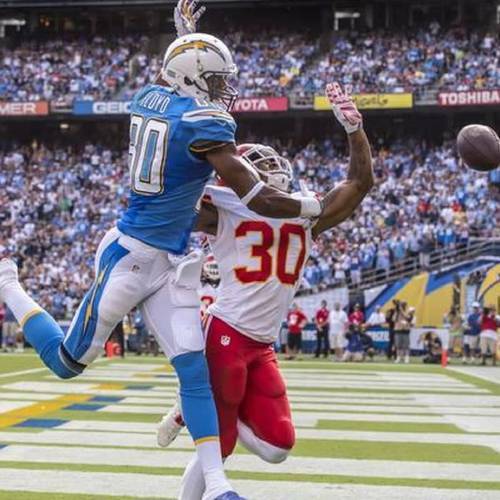 Sutton has not been blessed with a cornerback like Revis in Kansas City, but in 2013 his defense ranked third in interceptions, 2nd in takeaways, and 1st in fumble recoveries and in 2014 they ranked 2nd in fewest points allowed, 1st in fewest rushing scores allowed, and 2nd in fewest passing yards allowed. 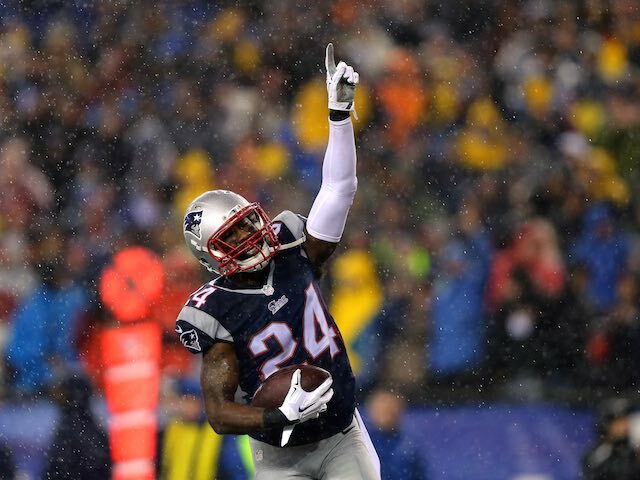 Clearly, his defenses are stellar, but could Revis make them better? Sutton uses a lot of press-man, blitz heavy schemes in Kansas City, similar to what he used in New York. Revis is familiar with these concepts and could teach them to the young corners Gaines and Flemming. 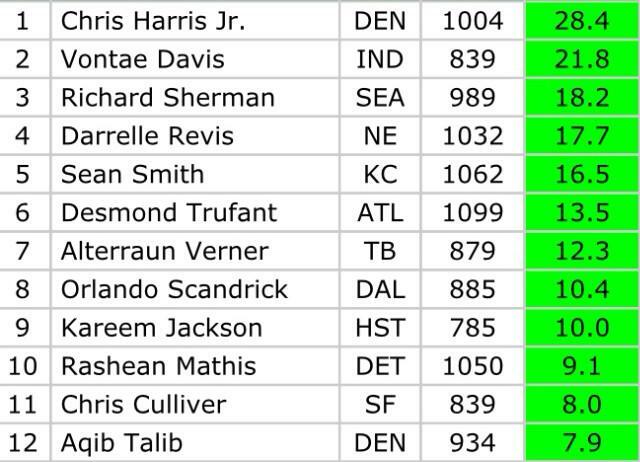 Bringing Revis on board would push Sean Smith down to the No. 2 corner and allow Gaines and Flemming to play more in hte nickel and dime packages. The pairing of Revis and Smith would be similar to what Sutton had in New York when he had Revis/Antonio Cromartie. Sean Smith is taller than Cromartie, and is more physical (which also leads to some interference calls), but fits the requirements of Sutton’s scheme. Maybe the greatest result of the presence of Revis isn’t even in the secondary at all, but in the pass rush. ”Revis Island” would keep quarterbacks in the pocket just a little longer, because they’ll avoid Revis like the plague, and this extra second or two would allow Justin Houston, Tamba Hali, Dontari Poe and Allen Bailey more time to get to the QB. Many of the Chiefs 2014 sacks were coverage sacks, and many more would come with Revis on the back end. This is fantastic to think about, but seriously, what would it cost to add Revis, and is he worth it? The Kansas City Chiefs enter the 2015 offseason with a very shaky cap situation. Much like last year, they aren’t going to be working with much, unless some cost-cutting moves are made. Currently, the Chiefs have just $1,101,621 in cap space to work with, which ranks 24th in the NFL. Cutting these players would save the Chiefs $23.3 million, which would allow them to sign more players, but Tamba Hali was selected to another Pro Bowl, Eric Berry is a solid safety when healthy and Chase Daniel is a viable backup. The Chiefs would have to replace Hali, likely with 2014’s No. 1 draft pick Dee Ford and find Alex Smith a suitable backup with Aaron Murray and Terrelle Pryor are unproven. To make matters worse, they still have Justin Houston, Rodney Hudson, and Ron Parker to re-sign. Houston is coming off a 22-sack season and is the best 3-4 outside linebacker in the league. Sportrac.com is projecting Houston to receive a 6-year, $92 Million deal. The Chiefs have not spoken much with Houston or his agent, but at some point the two sides have to start talking, seriously. Hudson, who was one of the top centers in football in 2014, and like S. Smith was a Pro Bowl snub, is also needing of a new contract. With their current situation, the Chiefs could ill-afford to lose their best lineman. If Revis were to become available, he would command at least $10 Million per year. Signing Houston and Revis takes up $21 million of cap room by themselves (if we follow Sportrac’s projection and Revis’ minimum contract demands). This would leave the Chiefs with a little over $3 million in cap to sign other players and draft picks, which the Chiefs could have 11 of. The Chiefs could keep Hali, sign Revis, and let Houston walk, and start Dee Ford next to Hali, but that would set the Chiefs behind. How can you justify not attempting to sign your best and youngest pass rusher? On the flipside, Revis is almost 30 years old and possesses little upside at this point, unlike Philip Gaines who can also play Special Teams. Here’s something else to think about. Look what the Chiefs did in 2014. Brandon Flowers was cut in the offseason, Marcus Cooper started out horrendously, Eric Berry was in and out of the lineup and then placed on IR, and Flemming was pulled off of the Practice Squad, yet gelled and became formidable unit. Darrelle Revis is an expensive luxury, not a necessity. The Chiefs have four capable cornerbacks on the roster, and it wont cost much to keep them together. Unless a few players get cut, and some contracts are restructured, signing Revis looks extremely bleak at this point. Yes, he’s an elite corner. Yes, he knows Sutton’s system. Yes, he would make the Chiefs secondary much better. Yes, he would give the Chiefs an incredible defensive advantage, but no, the Chiefs don’t have the cap and yes, the Chiefs have higher priorities. The best fans can do is start a GoFundMe campaign to raise money for a Revis signing, because that’s the most realistic way the Chiefs will attain him. ← Mike Alden sets end date as Mizzou AD, what legacy will he leave?